The Mutianyu section, located in Huairou around 45 miles (72 kilometers) from Beijing, was endowed with a long history. It connects Juyongguan Pass on the west and the Guibeikou on the east. The part was initially built in Northern Qi Dynasty (550-557). In the Ming Dynasty (1368-1644), it was rebuilt in order to enhance its defensive potential. It served as the protective screen in the North, guarding the imperial capital Beijing. I read that scenery is better from tower 14 to 20 of Mutianyu Great Wall. Do I have to get to tower 20 for the better scenery? If we hike from tower 14 to 20 and then back to tower 6, how long will it take? If you still have energy, you can get to the tower 20 and it will takes about 1.5 hours from 14 to 20 and back to the tower 6. Also, if you feel too tired, you can take a cable car to get down. 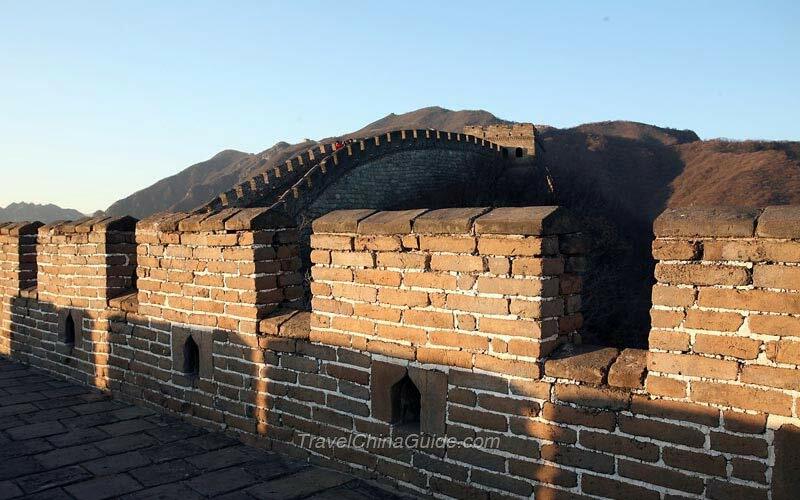 Is Mutianyu Great Wall suitable for an older person?